Start with a homemade breakfast and make it a family affair. Breakfasts can be simple -- toast with peanut butter and orange juice, a bowl of cereal. Make waffles, adding chocolate chips, blueberries, whipped cream, or other treats to makes it feel like a special occasion. There is nothing more fun -- or simpler! -- than homemade whipped cream, so let the kids help whip it up. Then keep some for dipping with strawberries as a great afternoon treat. Take your kids for a walk, a hike or a bike ride. Pack a picnic lunch and go. Leave all but one cell phone behind (one just for emergencies!) and let the bonding begin. When my youngest was just 5 years old, our family drove to Lake George and decided to climb a mountain. My youngest took one look at that mountain and insisted she could not do it. I told her we would go as far as she could climb and rest often. When we'd stop, I would say, "Look back! See how far you have already climbed? You can do this!" The five of us made it to the top, and she was so proud of herself. Even our youngest kids have that "can do spirit," so encourage it for an adventure to remember. If you have a backyard or a nearby park, here are some great family games and activities so you can play! DIY projects are a fun way to spend time together, and mean you can create your very own staycation souvenir. You can create Sand Art fun for the whole family with just Crayola Chalk and approximately ¼ cup of salt or sugar! Add a stick of Crayola washable sidewalk chalk and the salt or sugar to a Ziploc bag. After you seal the bag, simply roll your hands over it, mixing the chalk against the granules, changing them into the chosen color. 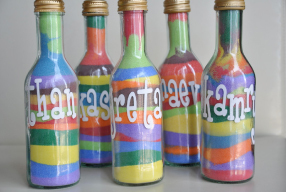 Once the colors are complete, remove the chalk and have kids layer the "sand" in various containers. It's as much fun to make the colored sand as it is to make the works of art! 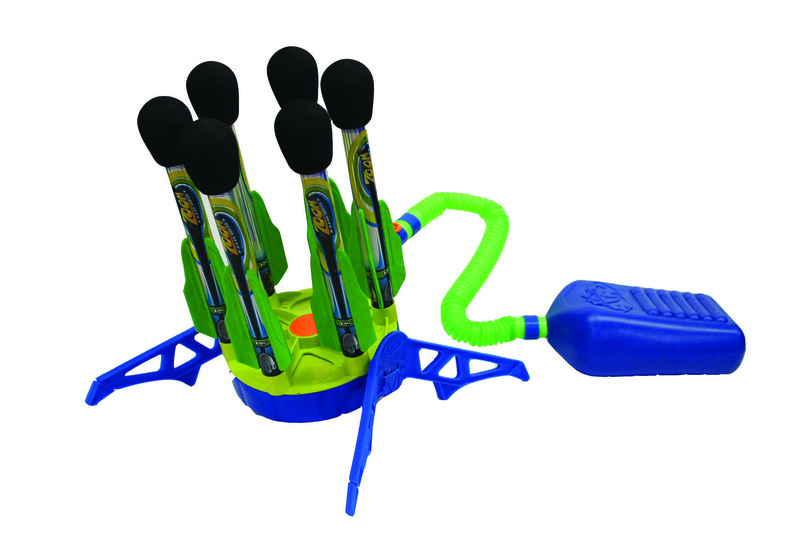 The X6 Zoom Rocket, from Zing Toys, is a great way to keep everyone racing around. The multi-rocket launch tower is the first of its kind, with six soft, foam rockets loaded in a rapid fire, air-powered, auto-rotation system. This is non-stop fun as rockets zoom in succession into flight, reaching more than 100 feet in the air. While one person stomps, everyone else races to catch the rockets. The harder you stomp, the higher they fly. 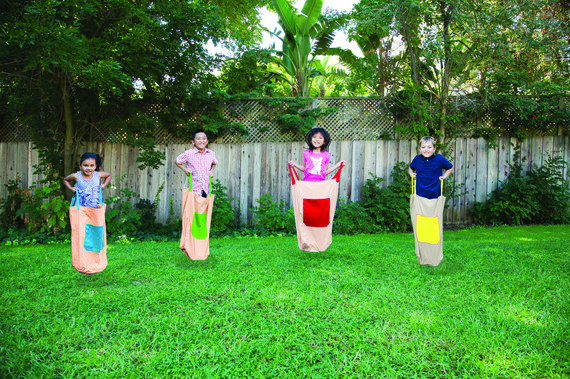 We all remember potato sack races -- and these Jumping Sacks, from Pacific Play Tents, brings those races in your backyard to a whole new level. Jumping Sacks are made of heavy-duty cotton canvas duct that provides strength and durability for long-lasting use. They provide the whole family with cognitive challenges, physical activity, and cardiovascular benefits (way more fun than being on a treadmill!). There's even a "Kangaroo" front pocket that can be used for added play value. The set includes four sacks with four different colored pockets, allowing families to invent creative new games! 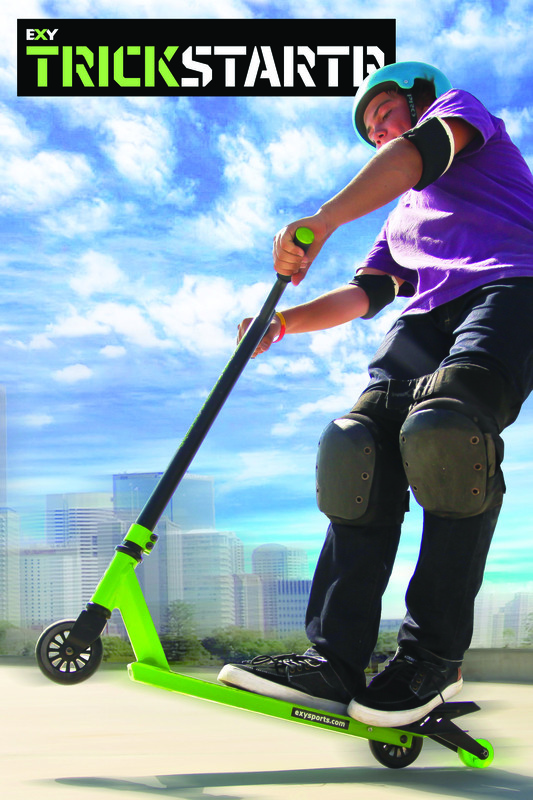 Yvolution's EXY Trickstartr is an extreme scooter that even Mom and Dad won't be able to resist. This trick scooter is designed for beginner riders who want to master basic stunts. There are four ways to ride: The Easy Way, The Expert Way, The Hard Way, and The Pro Way, so riders of all ages can get in on the fun at whatever level suits them best. It comes with a special trick device that allows riders to lean and learn how to do a manual. Once they've mastered the stunt, the device is removable. The EXY Trickstartr features a sleek design and comes in either green and black or purple and black. The maximum weight for this scooter is 220 lbs, so adults can give it a try too! But if you're looking to try something new this year, say, "COWABUNGA, DUDE!" 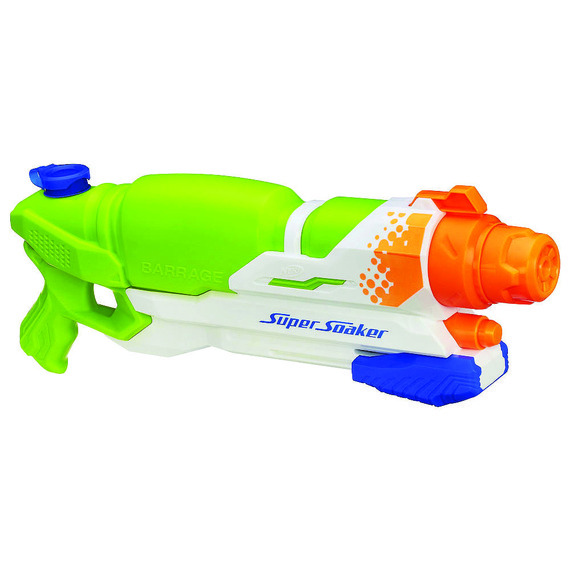 Playmates Toys' TMNT Sewer Spewer Water Weapons is perfect for Turtles fans looking for fun in the pool or backyard play. 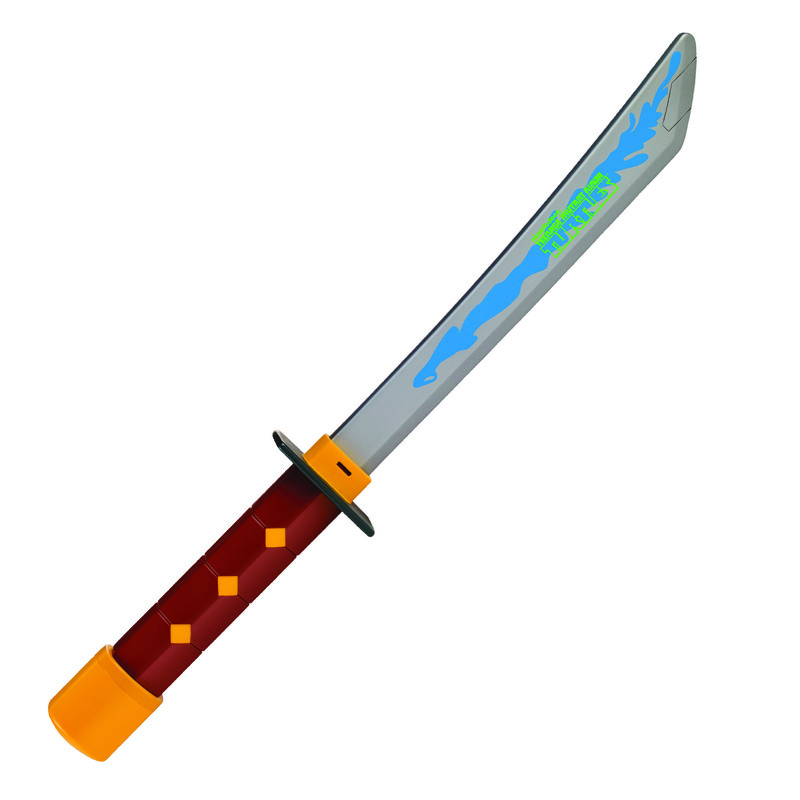 These Water Weapons move the Ninja action from land to water for an ultimate Turtle takedown. Kids can soak up water to deliver a sneaky, sewer-spewing spray on their opponents (read: parents and siblings) from up to 30 feet away with Leonardo's Sewer Spewer Katana and Michelangelo's Sewer Spewer Nunchucks. If it's a radio control, I'm in! I love when I can drive it, fly it, and crash it (so always look for durability). If you're the same way, you will love the Maisto Tech Extreme Beast. Kids and adults alike can race this exciting R/C off-roader that the whole family can share. The Extreme Beast comes ready to run. Just charge up the (included) battery and go. Its hobby-grade proportional steering and throttle give you precise control and these big wheels mean you can drive this just about anywhere. The 2.4 Ghz mean that up to 16 players can drive at one time and place. The 229-foot control range and spring suspension provide fantastic off-road performance. A family staycation is all about doing things together -- whether it's cooking, gardening, playing or creating an adventure. These days, being able to shut it off all the tech in our lives for awhile (at any age), and play this way facilitates communicating with your families, which is key as kids get older. Yes, it's nice to get away -- but sometimes, just sleeping late and PLAYING makes the best kind of family vacation!